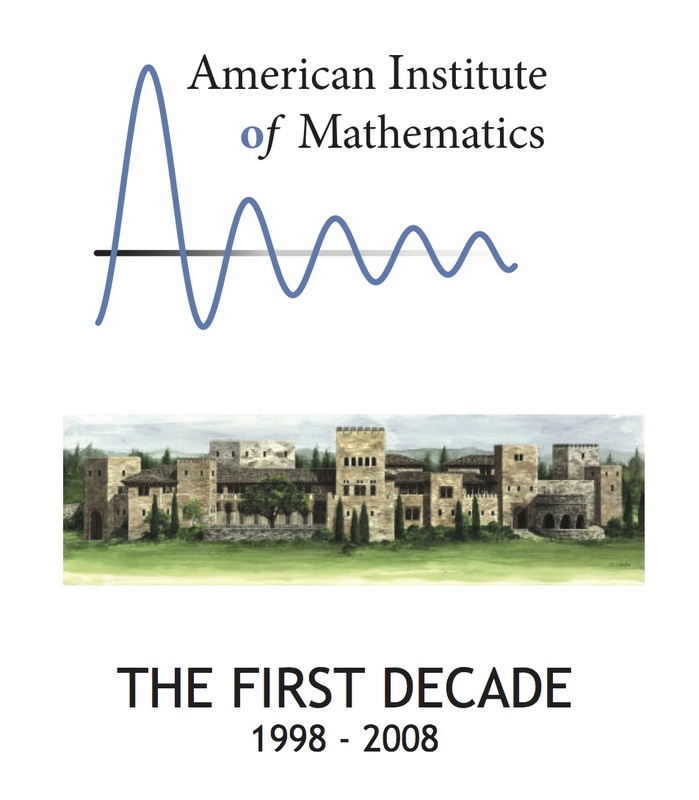 The American Institute of Mathematics (AIM) was established in 1994 by businessman and math enthusiast John Fry, and is now located in San Jose, California, after being in Palo Alto for twenty years. The mission of AIM is to advance mathematical knowledge through collaboration, to broaden participation in the mathematical endeavor, and to increase the awareness of the contributions of the mathematical sciences to society. Since 2002 AIM has been part of the National Science Foundation (NSF) Mathematical Sciences Institutes program. 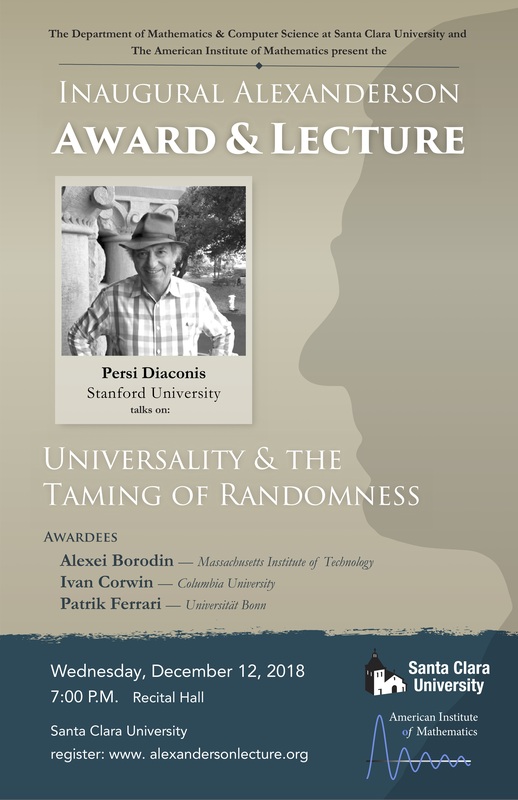 AIM receives funding from NSF to hold weeklong focused workshops in all areas of the mathematical sciences. In 2007 a program called SQuaREs which brings small research groups to AIM was developed. 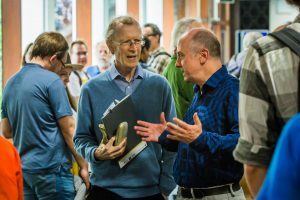 Each year twenty workshops are hosted at the institute and over thirty small research groups. 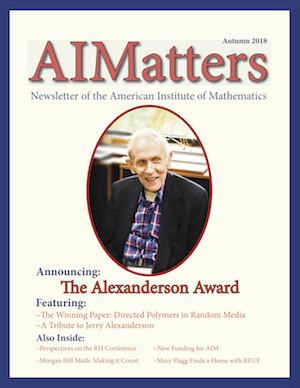 AIM strives to broaden participation in the mathematical sciences at every level, from supporting the research of professional mathematicians working on the most important mathematical problems of our day to encouraging young students to get excited about math and become the STEM professionals of the future. AIM created the Math Teachers’ Circle Network to encourage problem solving in middle schools, and now there are nearly 60 active Math Teachers’ Circles nationwide. Recently, AIM announced a new partnership with the Julia Robinson Mathematics Festivals. At the local level, AIM provides support and leadership to numerous students, teachers, and organizations throughout the South Bay and Silicon Valley communities.